Stuart Gibbs sure knows how to hook adolescent readers in. His various series of books — Fun Jungle, and Spy School, and Moon Base Alpha –– are all fun to read, with fast pace and quirky characters that will remind a reader of Carl Hiassen in a good way. 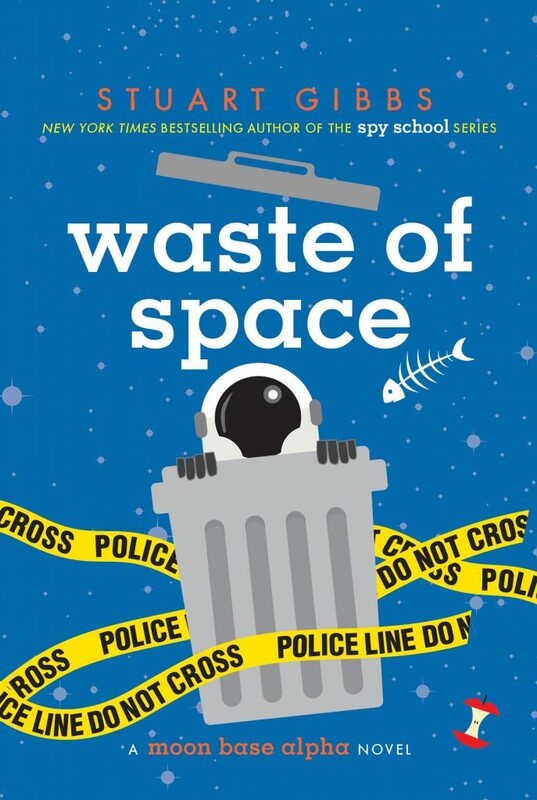 Waste of Space, the third book in the Moon Base Alpha series, is a closed room mystery, in which our narrator — Dashiell Gibson — has to solve an attempted murder in a space station on the moon. There is no way for anyone to arrive and no way for anyone to leave. Whoever attempted the murder by injection of cyanide is still on Moon Base Alpha. There’s plenty of tension on the moon station, as families mix with astronauts and engineers, and what seemed to Dashiell as a fun adventure becomes something more dangerous, even to the point where he himself gets attacked on the moon’s surface. And so the narrative line goes, as Gibbs adds humor, squabbles, and even strange alien interaction (in way that doesn’t seem overly forced, as he has been setting the stage for the encounter and its aftermath in the series), that provides for quite a satisfactory ending. This book is perfect for middle school readers, and even elementary readers will enjoy the story. Gibbs gets a huge thumbs-up from me, and from many of my students.